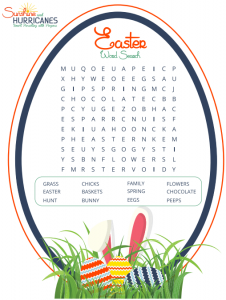 Easter 2019 is around the corner and it is the time to make plans for the day. 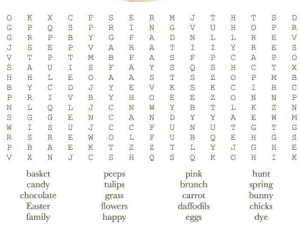 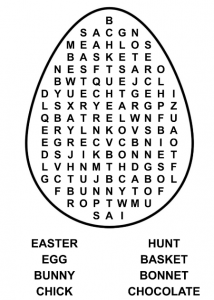 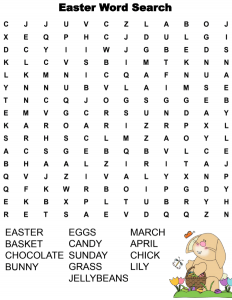 There are numerous activities for Easter, such as Easter egg hunt, make crafts, bake Goodies, or decorate…While, it is always a good idea to do Easter word search with your family members or friends, also it is a recommended way to teach and tell your kids things about Easter in the playing. 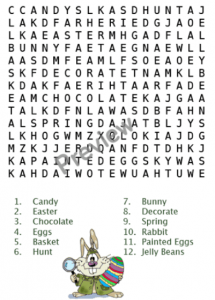 So, we here collect 32 free printable Easter word search in PDF or image format, also with several websites giving out free Easter word search resources included, to help you and your family fast pick and print the Easter Word Search for playing. 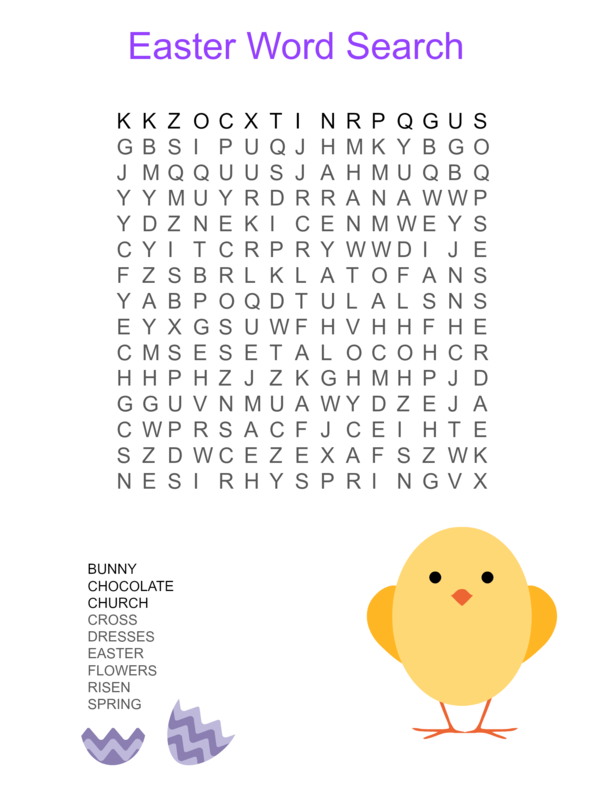 There are 32 free printable Easter word search on our list, and we divide them into 3 levels: easy, medium and difficult. 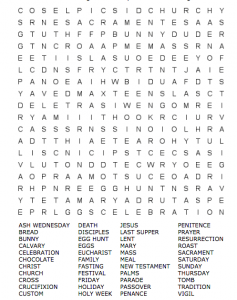 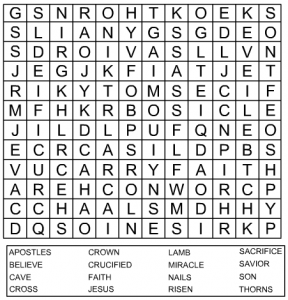 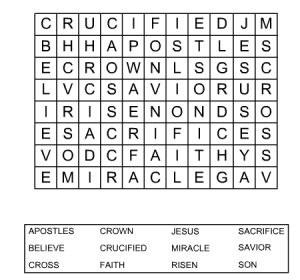 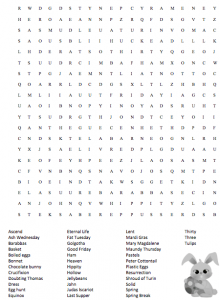 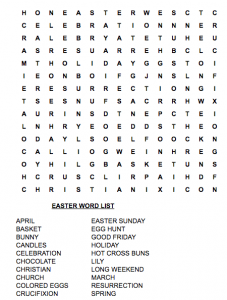 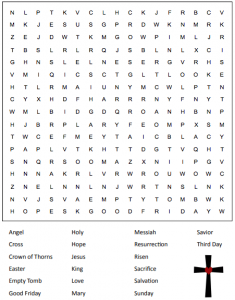 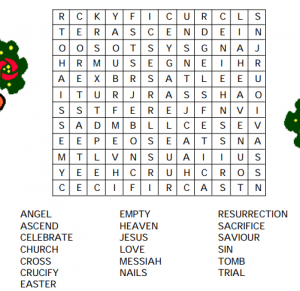 To download or print these Easter word search, you can either print directly on the original webpage, or save as PDF first, then print according to your needs. 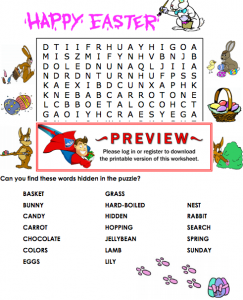 We have previewed and opened all listed Easter word search files, they are safe and clean, also 100% free for personal use without login-in or subscription. 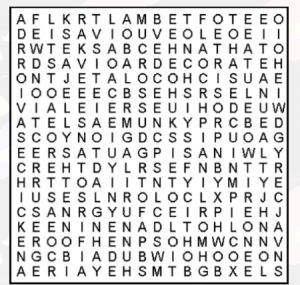 However, you are prohibited to use there sources for commercial or illegal purposes. 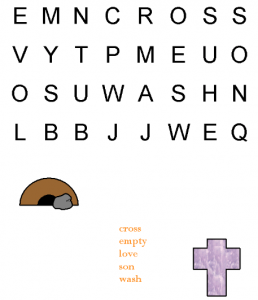 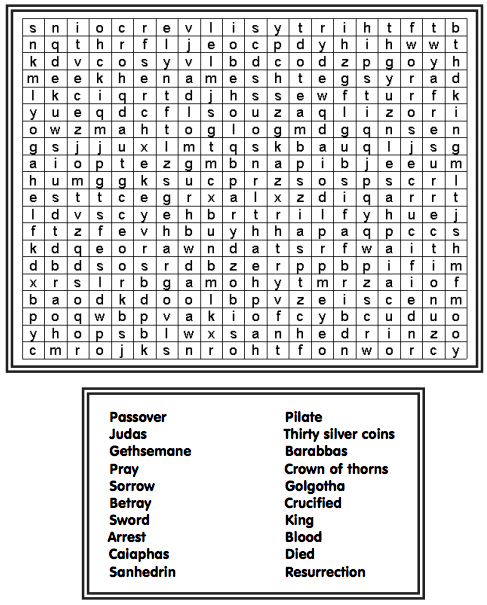 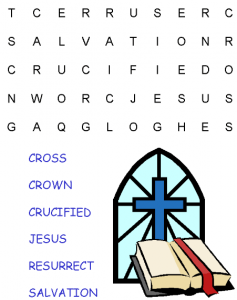 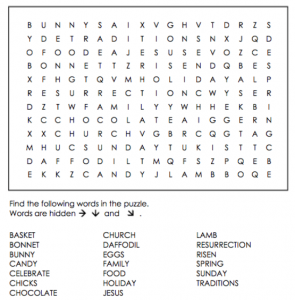 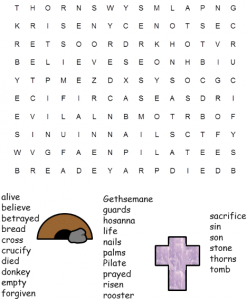 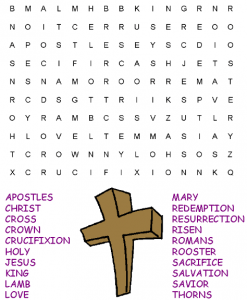 If you are looking for more options of printable Easter word search, here are several websites offering free resources. 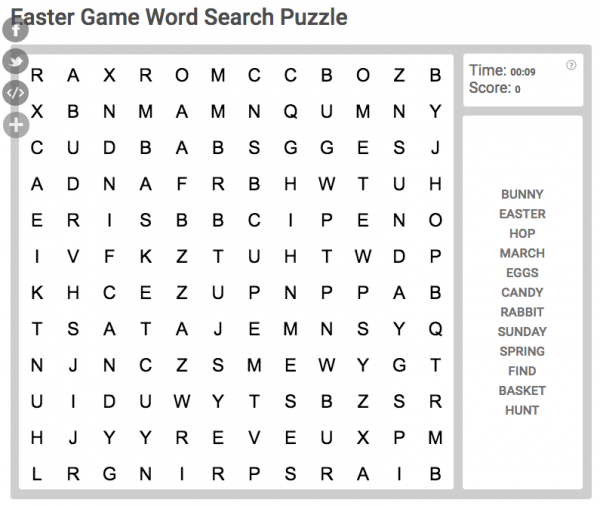 It is an online platform to provide word search puzzles only, but in virtually all types designed for users at different age. 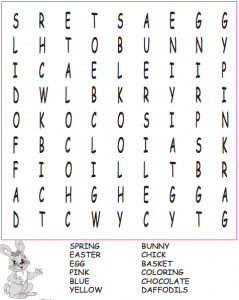 As for its Easter printables, there are more than 20 word search files available, ranges from easy level to super challenging level. 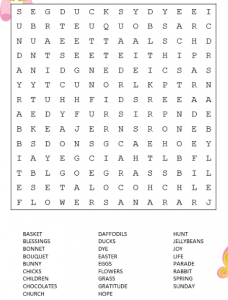 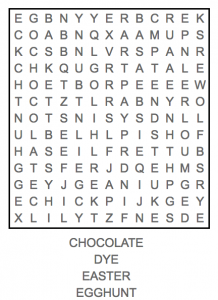 Click on each word search and go to the webpage for printing. 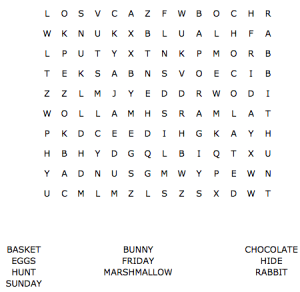 BigActivities is a helpful website to teach kids basic stuff with fun. 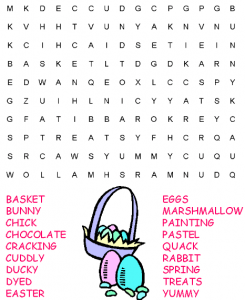 Besides printable word search, there are free sources for coloring pages, crafts, puzzles, worksheets, puzzles, etc. 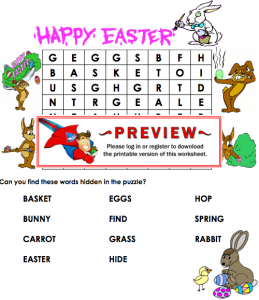 As for its Easter word search, there are total 16 files under 4 difficulty levels. 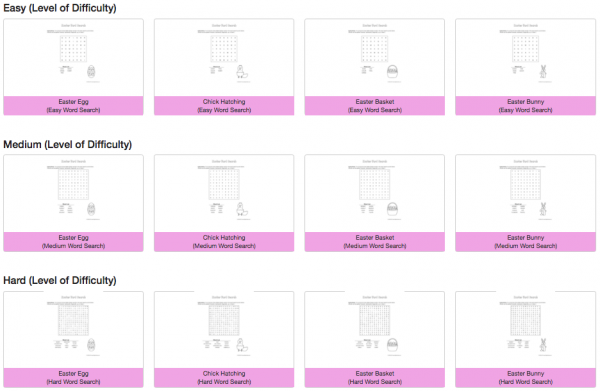 Also, it allows direct printing on its webpage, quite convenient. 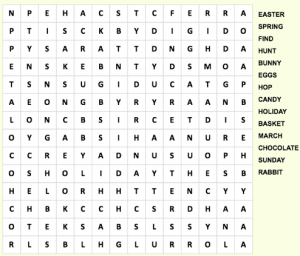 Where to Play Easter Word Search Game Online? 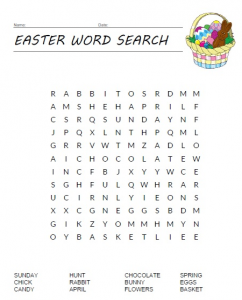 Also, if you have a mobile device at hand, you can play the Easter word search game online. 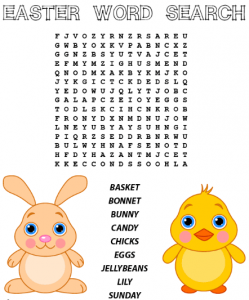 Here are 2 safe and convenient recommendations for you. 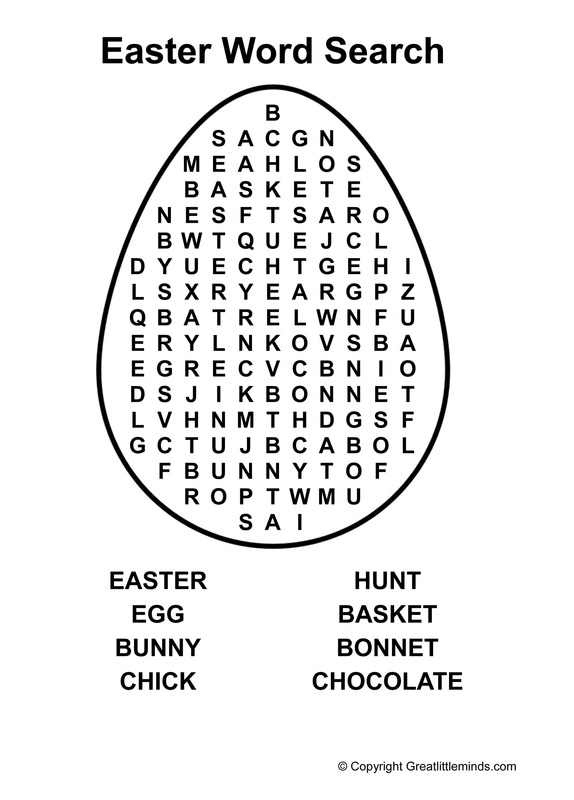 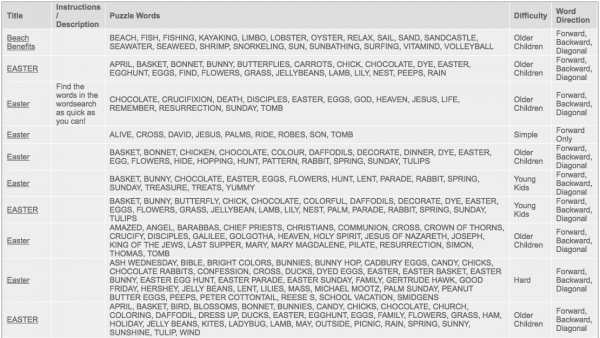 You are allowed to play small or big Easter word search on this website, also it offers clues to finish the word search. 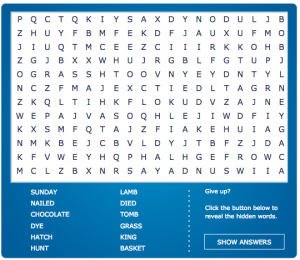 Another platform to play word search online in medium difficulty, players need to search 12 words among the letters. 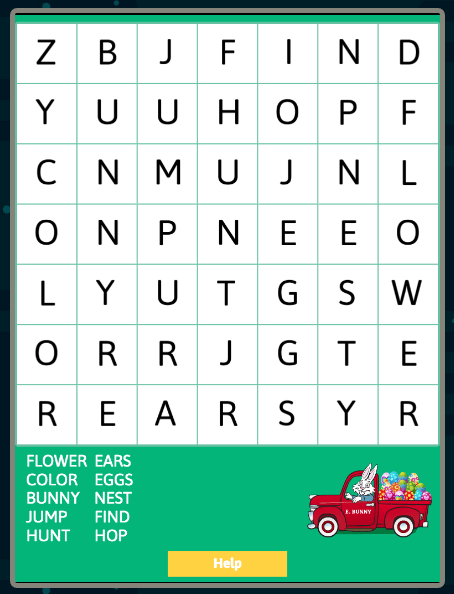 You just need to click on “Click Again” to play a new one after you have finished one. 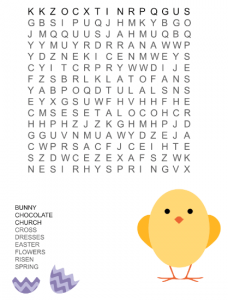 Playing word search on Easter is really popular, and that is just the reason why there are so many contributors for free printable Easter word search which greatly help us and our kids to learn about Easter. 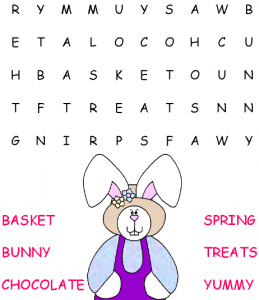 Hope the list in this post will be of help to our readers and happy Easter!